Here is one of many new slots jackpot games on Wizard Slots. Explore the Ancient pyramids of Egypt in this mystical and immersive slot from Eyecon. Pay your respects to Isis, the Goddess of Health, and you may be richly rewarded. The background depicts the majestic pyramids themselves, silhouetted against a vivid purple and yellow sunset. However, your attention will be focused on the hypnotic spinning of the reels and the enchanting symbols found within them. Keep your eyes peeled for sapphire hued Egyptian cats, golden serpents, ornately engraved pyramids, the Eye of Horus, and the striking figure of the goddess Isis herself. The spectacular graphics are sure to transport players to the banks of the Nile, and you will practically be able to hear the waves lapping up the shore. Founded in 1997, Eyecon has a wealth of experience in the online gaming industry. 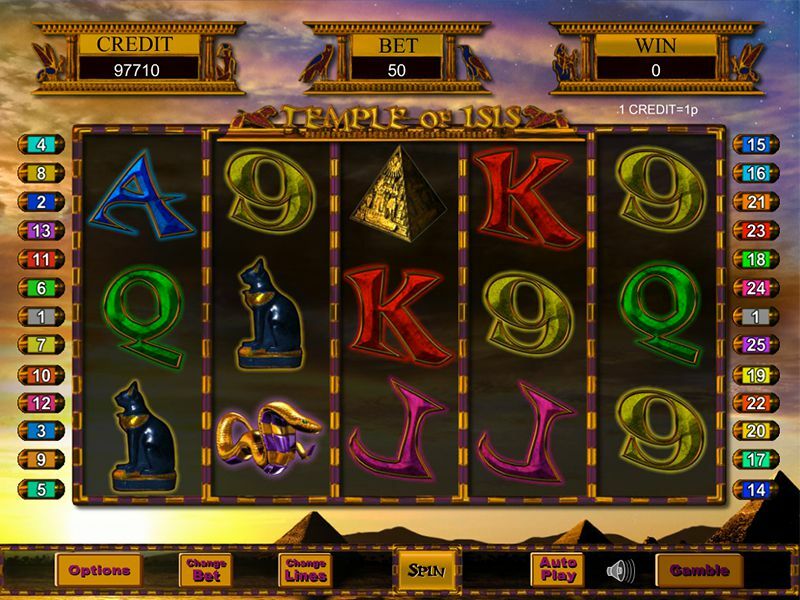 Temple of Isis was their first foray into the online slot industry and was released in 2003. It proved hugely successful and the addition of a progressive jackpot version is a welcome development. If you enjoy the Ancient Egyptian theme, have a go at the sequel to this slot – Temple of Ausar. This developer has produced a number of slots that are available on our website. You may view our UK slot games anytime you wish! This is a 5 reel, 25 payline slot with an RTP 95%. Players can offer the goddess as much as they like to secure her fortune – she will accept between 0.01 and 25.00. An autoplay function will allow you to wander through the Valley of the Kings uninterrupted, whilst the computer takes up to 100 spins for you. Players may click here for a guide of slots games with high RTPs. The two most valuable symbols in this game are the impressive pyramids and the powerful goddess herself. The pyramids act as the Scatter symbol of the game – if 3 or more appear on screen at any one time, the pyramids will glow mysteriously and you will be richly rewarded with up to 15 free spins! Not only that, during these free games any winnings will be tripled! The Goddess Isis will bring you good health by substituting for all other symbols apart from the Scatter, to help you get more winning combinations, and prizes will be doubled if she forms part of a winning combination. The generous goddess also pays out her own combinations – players can look forward to 9500 coins if they line up 5 of her on the reels. 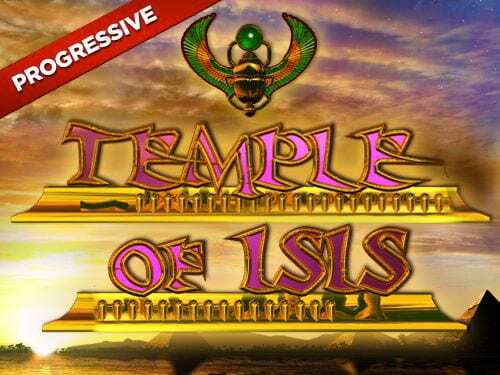 This slot embodies everything players loved about the original Temple of Isis slot by Eyecon, but now has the added excitement of three progressive jackpots which can be triggered at any point during the game! This game offers a really immersive experience, and players are certain to feel as though they have been transported back 2000 years to the banks of the Nile. Wander the Valley of the Kings as you marvel at the impressive pyramids, but stay focused on the task at hand to find yourself some Ancient Treasures! With a bet range of 0.01 to 25.00 per spin, players of all budgets can get involved in this adventure. An optional Gamble round and the prospect of three progressive slots which can be won at any time mean this slot is sure to get your adrenaline pumping! 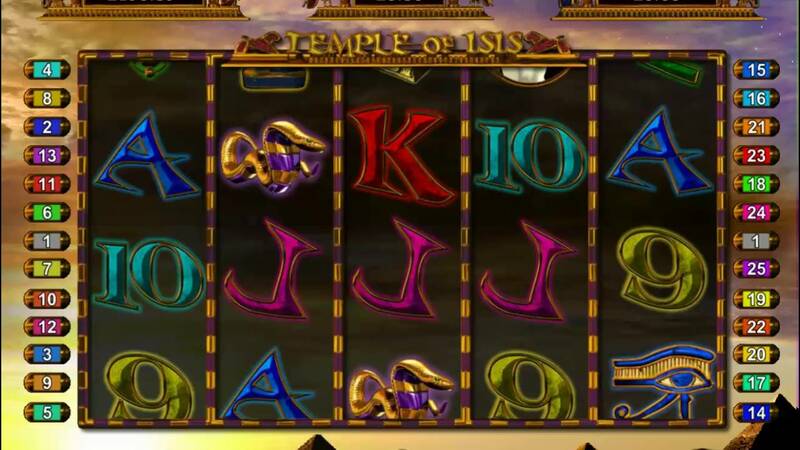 If Temple of Isis Jackpot is a game you enjoy playing, Irish Luck Jackpot is also a game you should check out.